Get the expert opinion and guidance on the things to do in Rwanda. We bring you nature, cultural and wildlife attractions of Rwanda. 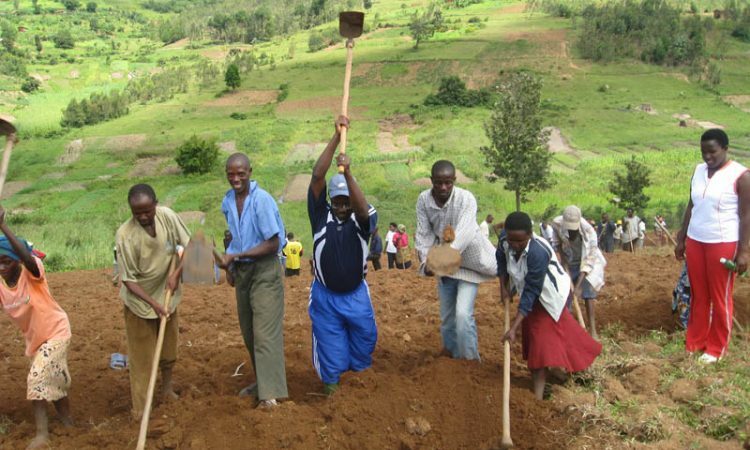 Community work (UMUGANDA): Umuganda can be described as community work. This activity happen on the every last Saturday of each month, where communities come together to do a variety of public works. This often includes infrastructure development and environmental protection. Rwandans between 18 and 65 are obliged to participate in Umuganda. Even foreigners or tourists living in Rwanda are encouraged to take part. Birding or bird watching: Is the act of wildlife observation of birds through visual devices like binoculars or with a naked eye, The activity is popularly conducted in seven Important birding areas(IBAs) throughout the country including; Akagera national park, Nyungwe national park, volcanoes national park, Rugezi swamp, akanyaru wetland, Nyabarongo wetland and Cyamudongo swamp. Gorilla trekking: Mountain gorillas are among the two endangered species, Rwanda is among three possible countries in Africa to see mountain gorillas. The gorilla trekking permit in Rwanda, costs $1500 per person per trek. Beside the amount you have spent on transport and accommodation. Chimpanzee trekking: Trekking chimpanzees in Rwanda is mainly done in Nyungwe national park, the greenest national park in Rwanda, located in south-western part of the country, just 6hours drive from Kigali city. Hiking: Hiking in Rwanda, is well conducted in two mountains (volcanoes) such like; Bisoke and Karisimbi, among five volcanoes in Rwanda on Eight volcanoes that consists of Virunga mountain Range. Boat riding: Rwanda has many places, where people can do boat riding, boat trip or canoeing including Lake Kivu, Lake Ihema, Lake Muhazi and Twin lakes. Swimming: As Rwanda has about 23 lakes and over 100 hotels with many swimming pools, where swimming activity can be conducted mainly all over the country including; Lakes like; Lake kivu, Lake Muhazi, Lake ihema, etc., and Hotels like: Golden tulip in Bugesera district, lake kivu Serena hotel in Rubavu district, villa Portofino hotel in Kigali. .
Amusement: This consists of watching matches on playing courts, horse riding, cinema and theatre watching, the activities are well conducted in many familly entertainment in Rwanda including: Gisenyi beach, Football stadiums like Amahoro, Regional and many more, Nyarutarama Golf course, Rugende training center for horse riding, century cinema for cinema watching, and Bambino supercity for Kids. Game driving: In Rwanda, Game drive activity is mainly done in Akagera national park. As Rwanda has a developing infrastructures, they have some Roads that are safe for Road trip without the interruption of vehicles also Known as Car Free zone. Heritage and cultural tour: Is an act of visiting historical and heritage sites such like; Museums, memorial sites and monuments. The activity conducted in many destinations including; Gisozi memorial site, Murambi memorial site, Rukari King’s museum, ethnographic museum, and presidential palace’s museum, Ndaba’s Rock, Kamegeri’s Rock, etc. Adventure travel: Is an act of visiting adventurous, geographical and geological destinations, The activity is conducted in many destinations including; caves like, Musanze caves in Musanze district, Busasamana caves and Mugongo caves, bigogwe breast rock, nyamyumba hot spring in Rubavu district, Rusumo falls in eastern part of the country, and many more. Community based tour: Community based tourism is an opportunity to experience the life and work of a Rwandese community. The activity is conducted in many destinations including; Muslim quarter of Nyamirambo, Reconciliation village in Bugesera, Gorilla Guardians village, Banda community village.